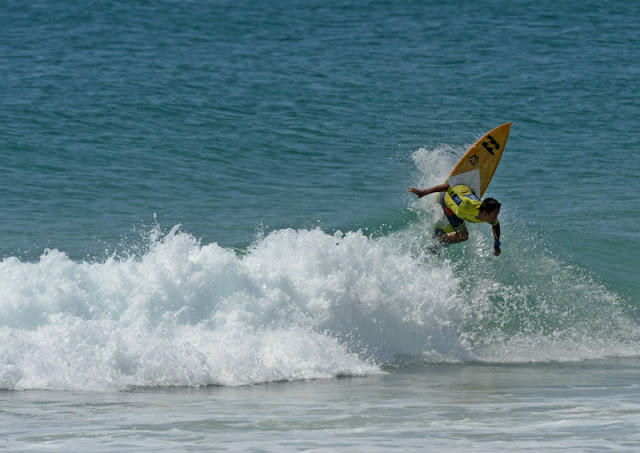 Queensland’s picturesque North Stradbroke Island and its many quality breaks will play host to the 2015 Surf Dive ‘n Ski Australian Junior Surfing Titles between November 28th – December 5th. Zac Wightman, Jack Murray and Mikey McDonagh will be in the event chasing an Aussie Title . Good luck groms. The Aussie Titles are down to the pointy end and the Le-Ba groms have been smashing it ! In the U18's Zac and Jack are both into the Semi's and Mikey is into the Semi's of the U16's. Finals are tomorrow. A week of Aussie Titles surfing culminated in sick waves at Cylinders. In the U 18's Zac finished 4th in the Final and Jack was 5th overall. In the U 16's Mikey was ripping but had to settle for 2nd. In the School Surfing Titles the Le-Ba groms were amazing. Zac Wightman won the 19 Allstars. Mikey McDonagh won the 16 Allstars. Zac and Luke Condon won the MR Shield 19's and Mikey also won the MR Shield 16's. Congratulations groms ! !